SYDNEY — Oct. 24, 2017 – Australian startup WOTBOT today announced its partnership with its TeachWOT online learning product and Red Education. Together, the two companies will provide convenient online network security training programs. “In an industry where there is so much information, so many vendors, and myriad areas of specialisation, we recognised the need for structured training to enable network professionals to keep updated with the latest technology developments,” stated Linda Wooding, Director, TeachWOT. TeachWOT’s online portal enables course participants to complete the course at a convenient time, at a pace that suits them. All coursework and testing is facilitated online and is affordably priced. Red Education is the leading IT professional Training provider in Asia Pacific and Japan. With its highly-regarded reputation, market penetration and long experience in this domain, the partnership with Red Education is vital for the success and reach of TeachWOT in the region. TeachWOT courses are intended for network professionals including web developers, IT operations engineers and system administrators. Upon completion of courses, participants are provided with a Certificate of Completion. Network professionals juggle the rapid and regular introductions of new technologies, while managing a staggering rate of standards updates and compliance requirements. They often don’t have the time to proactively keep themselves up to date on all facets of networking. Courses by TeachWOT offer a convenient “train-as-you-go” portal where course participants can log in and complete their training over a 90-day period. Network Fundamentals – Core: This course gives participants a deep understanding of the fundamentals of computer networking with a detailed description of the function, protocols and intersects between each of the seven network layers. Application Delivery Fundamentals: This course enables network professionals to prepare to sit the Industry recognized ADN certification F5 Networks – 101 Application Delivery Fundamentals. The course covers an overview of network fundamentals with a detailed review of protocols, traffic management concepts and a focused view of Layers 4-7 of the network. Web Application Firewalls for DevOps: This course provides an overview of the increasing threats to web applications, the benefits of a Web Application Firewall (WAF) and the design, selection and implementation of a quality WAF solution. “Network professionals can now keep up to date at a time and in a place that is convenient to them. We provide a simple modular portal with engaging visual and audio course material, along with supporting materials for ongoing learning. We are particularly pleased to be offering an Australian solution that is specific to our market,” remarked Linda Wooding, Director, TeachWOT. TeachWOT is a subsidiary of WOTBOT, an Australian software company that designs, builds and customises innovative software solutions for web and mobile applications to help businesses grow and succeed. Our solutions facilitate the streamlining of business operations to ensure maximum efficiency and productivity. Our expertise is in simplifying business communication technologies for optimum business performance. Maximise your results by putting the simplest technology at your fingertips. Red Education is the leader in IT training and professional services in Asia Pacific. Since its launch in 2005, Red Education has trained more than 50,000 IT professionals of many industries including financial services, government, telecommunications, education, healthcare and many others. The combination of extensively experienced trainers and courses that balance theoretical concepts and hands-on labs is the formula to Red Education’s class success. Red Education ensures quality class across all delivery methods; in-class, virtually or on clients’ sites. SYDNEY — Sep. 5, 2017 — Red Education today announced receiving its fifth successive Palo Alto Networks® APAC Excellence in Training Award for the year 2017. This award marks the fifth win after receiving the same recognition for the years 2013, 2014, 2015 and 2016. The awards were announced during the Palo Alto Networks Sales Kickoff event, which took place on 28 – 30 August 2017 in Las Vegas, Nevada. Endorsing Red Education’s performance and achievements, Palo Alto Networks recognise our company as an Elite Authorised Training Centre. During the last financial year, August 2016 – July 2017, the company delivered over 120 courses, training around 800 IT security specialists on a range of Palo Alto Networks technologies. “We’re proud to receive the APAC Excellence in Training Award for the fifth consecutive year.” Rob Howard, Managing Director at Red Education commented. “This award is recognition by Palo Alto Networks of our outstanding training delivery and effective enablement. It is also an acknowledgement of our trainers’ capabilities and commitment to excellence. This is the result of hard work, experience and, above all, passion for enabling security experts across Asia Pac on Palo Alto Networks technologies”. “It was a fantastic event where all partners and distributors gathered to celebrate success together.” Chris Wong, Regional Director – Asia, noted. “The theme of this year’s SKO was What We’re Made of. Such an exciting theme that comes with great content and an anticipation to witness the innovative ideas Palo Alto Networks are bringing along in FY18.”. Chris further added:”I can’t reveal more as whatever happens in Vegas stays in Vegas!”. 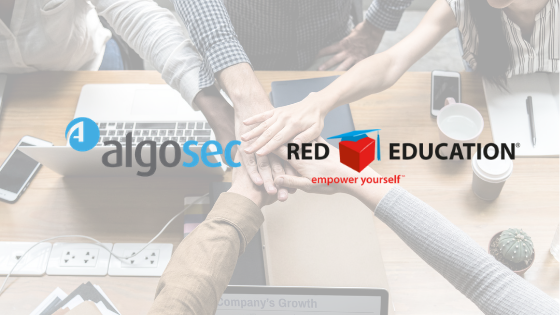 To learn more about Palo Alto Networks training courses or to register, please visit Red Education’s course schedules. 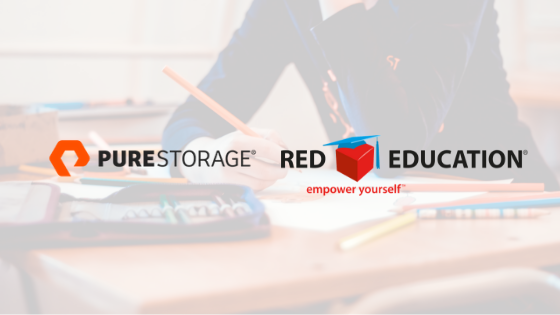 Red Education is the leader in specialist training and professional services for the IT community across Asia Pacific including Australia, New Zealand, ASEAN, Greater China, Japan, Korea and India. Since its inception in 2005, Red Education has delivered over 50,000 training seats to every major enterprise, government agency and service provider across the region. Providing vendor accredited in-class, on-site or virtual training, Red Education courses blend theoretical concepts with practical hands-on lab exercises and are delivered by instructors who have years and decades of practical experience. Red Education Pty Ltd started the 2017 financial year with the annual Sales Kick Off conference which lasted for three days in the Blue Mountains, NSW, Australia. Red Education had special guests presenting during this SKO event. Martin Wooding, Director, APAC Service Sales at F5 Networks was there to walk the Sales team through the changes taking effect on F5’s courses portfolio. Martin concluded his session with handing the F5 Sales Person trophy to Shree Karki, Account Manager – ANZ at Red Education. Another master of craft from Symantec was also attending. Charlie Sadaka, Sr. Technical Education Consultant, took the team deeper into Symantec’s education offerings. Charlie also handed the Symantec Sales Person Award to Luke Collins, Account Manager – ANZ at Red Education for closing the highest deals across all regions. And a special “Thank You” to Melissa Sharp for celebrating her 10 years work anniversary with Red Education. During these years, Mel was and still is the source of wisdom and one of the major contributors to Red Education’s Success!